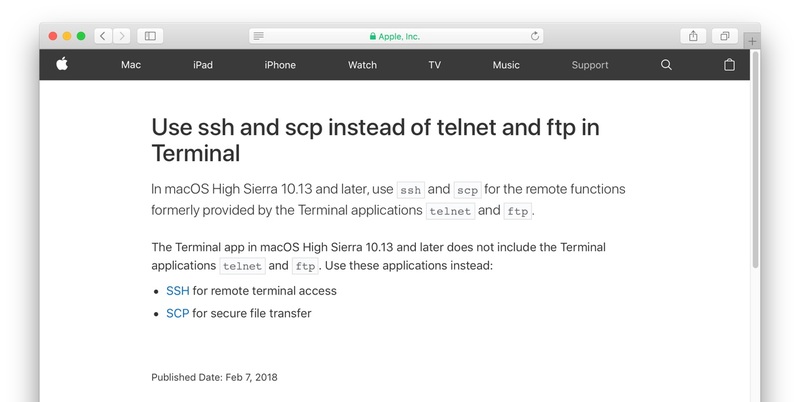 Apple、macOS 10.13 High Sierraで廃止した「telnet」や「ftp」コマンドの代わりとして「ssh」や「scp」を利用するように指示。 | AAPL Ch. 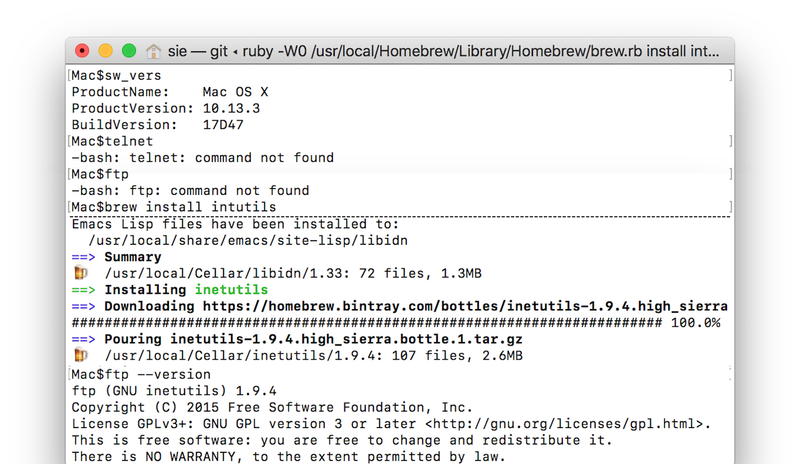 I’ve received answer from our engineers and it is not possible to access FTP through the terminal, because High Sierra is a more secure operating system. You can perhaps use 3rd party apps to access FTP, but which are eligible for this I’m not sure of since we don’t support 3rd party applications.